policy implications for the practice of crime prevention. 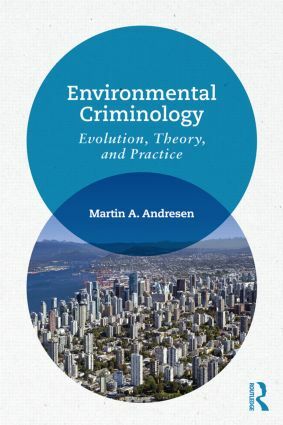 As well as these "popular topics", Andresen also discusses also a number of topics that are at the leading edge of research within environmental criminology. This text will be ideal for courses on crime prevention, where students are often encouraged to consider policy problems and apply theory to practice. This book offers up environmental criminology as a theoretical framework for making sense of complex neighbourhood problems, meaning that it will be perfect for modules on geography of crime, crime analysis and indeed, environmental criminology. It would also be a good supplement for courses on criminological theory.